Get 25% More Tickets, Compliments of the Mid Ohio Jeepers Organization! Where will your adventure take you first in this custom, go‑anywhere, do‑anything Jeep? When you enter to win this Jeep Wrangler Hero Edition, you’ll help us recognize the many proud Americans, both military and civilian, who have relied on rugged Jeeps to save lives and live life to its fullest. If you’ve ever thought, “One day I’ll own a Jeep like this,” now is your chance! Open this grand-prize Jeep's hood and you'll find a Corvette LS3 engine rated at 450 horsepower and pushing out 425 lb-ft of torque. Plus this custom Jeep has an eight-speed automatic transmission, custom aluminum armor package, ultimate Dana 60 axles and a whole lot more. Whether you call this Jeep into active duty as your super-fun daily driver or enlist it in the reserves for your off-road weekend adventures, you'll love getting behind the wheel of this custom‑built JL. 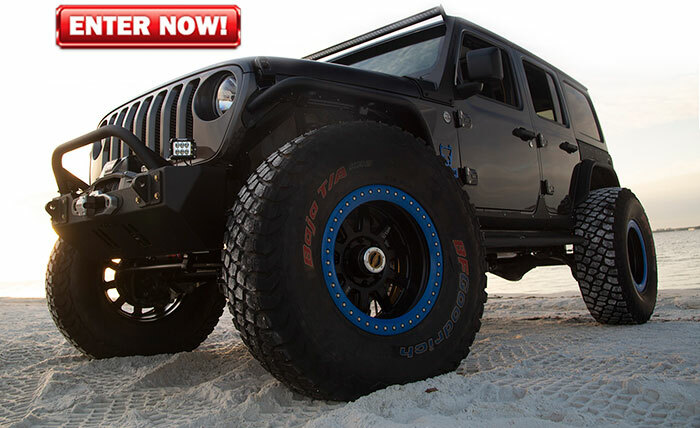 Enter now to get 25% more chances to win, compliments of the Mid Ohio Jeepers Organization! GET 25% BONUS TICKETS NOW! Plus we pay $10,000 for the taxes! 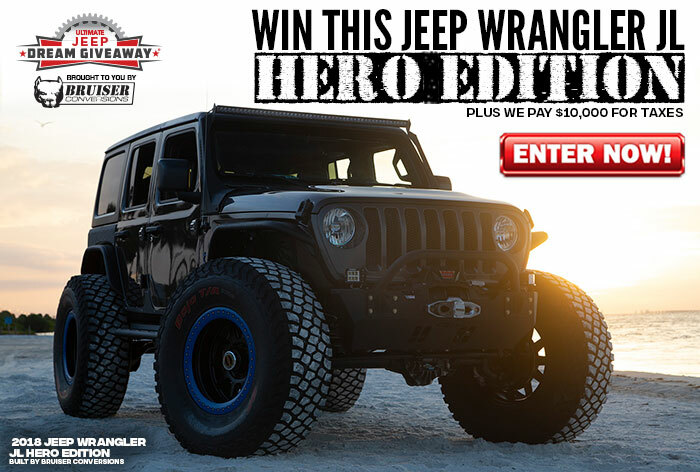 This custom-built Hero Edition Jeep Wrangler could be yours... but only if you enter to win.